Are You Looking to buy Raw Honey? But needs some tips on how to select the best product? Listen, I understand. There is a great deal of information out there telling you why you should buy raw honey and from whom. And its confusing. One website says one thing and another says the opposite. And then there is the issue of who to trust? How do you know what is on the label is actually in the bottle? How do you know that there aren't any undesirable substances in that product? So who are you to believe? After growing up on a honey farm and studying holistic nutrition, I have a unique perspective on what to look for in a genuine raw honey product. And even more so, I know what doesn't AND what you need to watch out for. Ultimately, if I can help you take even the smallest step closer to a life of amazing health using raw honey, then I will have accomplished my goal. So let me give you some tips on what to look for when buying raw honey. Tip #1: Know the source of your raw honey! Let's just say that there are some real shady characters out there shopping their raw honey on the market. As an actual raw honey producer, I can vouch for the fact that there is a real problem with cheap, off shore raw honey 'polluting' the North American market. These shady characters are blending the cheap, off shore honey with small amounts of high grade North American raw honey and selling it to you as 100% pure...which it is not! Don't buy raw honey that is a perfect golden brown color. You know the one that you see on the supermarket shelf, looking perfectly clear and golden? It looks perfect, like it was made in a factory? Well, chances are that it was. Real raw honey is not golden brown. It is a milky brown substance and usually has a white layer on the top of it. Tip #3: What is on the Label? 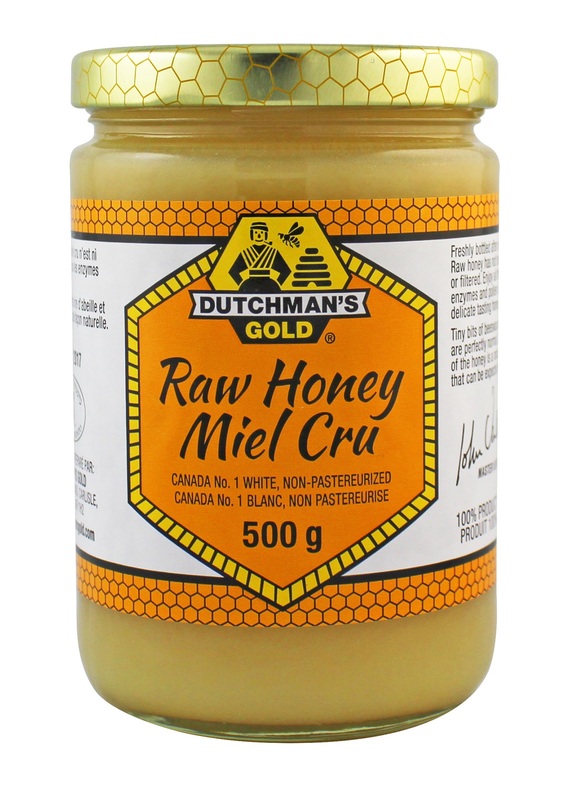 When selecting a raw honey for you and your family, make sure the word “raw" is on the label. You want to ensure that your honey has never been heated or processed. Pasteurization is simply the process of 'heating' a substance in order to kill off any unwanted bacteria. But, because raw honey is so anti-bacterial by nature, this isn't necessary. The problem with heating raw honey is that the excessive temperature destroys the many healthy enzymes within the product and also damages the pollen, royal jelly and propolis that naturally occur within it. Ultimately, pasteurization makes honey much less healthy for you so make sure your honey is NOT pasteurized.